Microsoft deepens its commitment to Apache Hadoop and open source analytics - Last week, Hortonworks hosted the DataWorks Summit in San Jose, California, which is billed as the world’s premier big data community event for everything data. This post provides a rollup of Azure HDInsight info and reflects on the progress made since the start of Microsoft's partnership with Hortonworks and contributions made to Apache projects, such as Hadoop, Kafka, and Spark. More details are also available in the four posts listed below. Top 8 reasons to choose Azure HDInsight - Learn the top eight reasons why enterprises such as Adobe, Jet, ASOS, Schneider Electric, and Milliman are choosing Azure HDInsight for their big data applications. Azure Data ingestion made easier with Azure Data Factory’s Copy Data Tool - The Copy Data Tool sets up a pipeline to accomplish the data loading task in minutes, without having to understand or explicitly set up Linked Services and datasets for source and destination. Now, it supports all 70+ on-prem and cloud data sources, and we will continue to add more connectors in the coming months. Event trigger based data integration with Azure Data Factory - This post announces support for event based triggers in your Azure Data Factory (ADF) pipelines, such as file landing or getting deleted in your Azure storage. 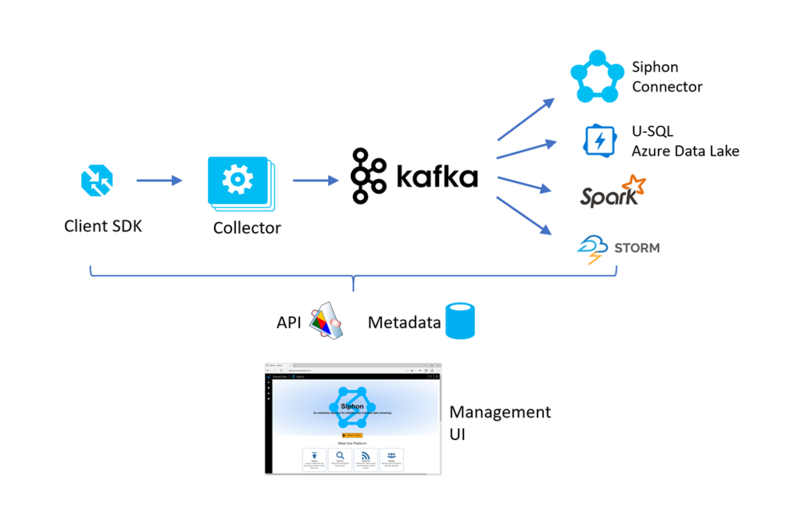 Siphon: Streaming data ingestion with Apache Kafka - Learn how Siphon helps drive innovation in Azure HDInsight. Siphon is an internal Microsoft solution that provides a highly available and reliable distributed Data Bus for ingesting, distributing and consuming near real-time data streams for processing and analytics for cloud services of massive scale, such as Bing, Office 365, and Skype. Azure Service Bus is now offering support for Availability Zones in preview - Azure Availability Zones support for Service Bus Premium provides an industry-leading, financially-backed SLA with fault-isolated locations within an Azure region, providing redundant power, cooling, and networking. This preview begins with Central US, East US 2, and France Central. Azure Event Hubs is now offering support for Availability Zones in preview - Availability Zones are now in public preview for new Standard Event Hubs namespaces. This preview begins with Central US, East US 2, and France Central. Immutable storage for Azure Storage Blobs now in public preview - The public preview of immutable storage for Azure Storage blobs addresses requirements for regulated industries to retain business-related communication in an immutable state that makes it non-erasable and non-modifiable for a certain retention interval. The feature is now available in all Azure public regions. Through configurable policies, users can keep Azure Blob storage data in an immutable state where blobs can be created and read, but not modified or deleted. Resumable Online Index Create is in public preview for Azure SQL DB - Resumable Online Index Create (ROIC) is now available for public preview in Azure SQL DB, which enables the pausing of an index create operation and the ability to resume it later from where the index create operation was paused or failed, rather than having to restart the operation from the beginning. Azure AD Password Protection and Smart Lockout are now in Public Preview - Azure AD Password Protection helps you eliminate easily guessed passwords from your environment, which can dramatically lower the risk of being compromised by a password spray attack. Smart lockout is our lockout system that uses cloud intelligence to lock out bad actors who are trying to guess your users’ passwords. Announcing the general availability of Azure SQL Data Sync - Azure SQL Data Sync is a service built on Azure SQL Database that enables you to synchronize the data you select bi-directionally across multiple SQL databases and SQL Server instances. 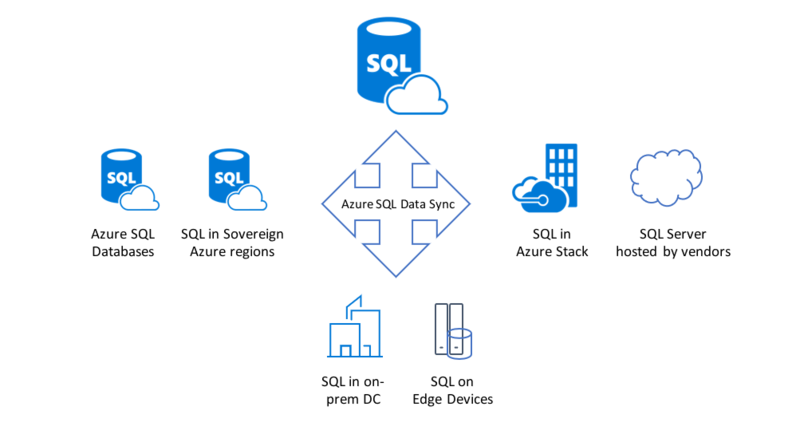 In addition, Azure SQL Data Sync now supports a better configuration experience, more reliable and faster database schema refresh, and more secured data synchronization. Disaster Recovery solution for Azure IaaS applications - This post builds on the recent announcement for the general availability of Disaster Recovery (DR) for Azure Virtual Machines (VMs) using Azure Site Recovery (ASR) by highlighting the benefits of ASR. Disaster Recovery between Azure regions is available in all Azure regions where ASR is available. Traffic Analytics now generally available - Azure Traffic Manager provides metrics for monitoring the health status of endpoints in a profile and the amount of traffic that a profile receives: Queries by Endpoint Returned and Endpoint Status by Endpoint. You can also configure and receive alerts based on conditions that interest you. These metrics and alerts are provided via the Azure Monitor service. The Azure Podcast: Episode 234 - Migrations - Longtime guest on the show, Bill Zack joins us along with colleague Aaron Ebertowski to talk about Azure Migrations. Maven: Deploy Java Apps to Azure with Tomcat on Linux - The Maven Plugin for Azure App Service provides seamless integration of Azure services into Maven projects. In just one step, you can deploy your WAR file to Azure Web Apps on Linux with the built-in running stack of Java 8 and Tomcat 8.5 or 9.0. Azure Blockchain Workbench 1.1.0 extends capabilities and monitoring - This post announces the first major update to Azure Blockchain Workbench, which released to preview in May. This update includes multi workflow and contract support, monitoring & usability improvements, bug fixes, and more. Introducing the redesigned Security Center Overview dashboard - The redesigned Security Center dashboard provides cross-subscription, organizational level reports of the most important metrics that influence the organizational security posture, as well providing actionable insights to help organizations improve their overall security posture. The dashboard also now has metrics for Subscription Coverage and Policy Compliance. Column-Level Security is now supported in Azure SQL Data Warehouse - Column-Level Security (CLS) for Azure SQL Data Warehouse is an additional capability for managing security for sensitive data that places the access restriction logic in the database itself. This capability is available now in all Azure regions with no additional charge. Cost Reporting ARM APIs across subscriptions for EA customers - This month we are releasing ARM-supported APIs for the enrollment hierarchy. This will enable users with the required privileges to make API calls to the individual nodes in the management hierarchy and get the most current cost and usage information. More info on Azure Container Instances - Corey Sanders, Corporate VP - Microsoft Azure Compute team sat down with Madhan Ramakrishnan, Partner PM Manager on the Azure Compute Team to talk about ACI (now GA - Azure Container Instances). Enabling Smart Manufacturing with Edge Computing - This article introduces Edge Computing and discusses its role in enabling Smart Manufacturing. The service Azure offers to enable Edge Computing is called Azure IoT Edge, which is a fully managed service that delivers cloud intelligence locally by deploying and running artificial intelligence (AI), Azure services, and custom logic directly on cross-platform IoT devices. Dive into blockchain for healthcare with the HIMSS blockchain webinar - At the recent HIMSS18 conference in Las Vegas, David Houlding moderated a panel discussion of worldwide experts on blockchain in healthcare, which was organized by the HIMSS Blockchain Work Group. This post links to a video of that discussion as well as a link to a follow-on on-demand webinar where the same panel of experts shared their direct experience in piloting or preparing to pilot blockchain in healthcare this year. Kubernetes integration with Azure IoT Edge - You are using Kubernetes to deploy and manage your containerized applications and wonder about distributing your clusters across traditional nodes and IoT devices? Azure IoT Edge now integrates with Kubernetes allowing you to seamlessly do exactly that! Learn how this works and check out the demo by Venkat Yalla, PM in the Azure IoT team. Azure Marketplace new offers: May 16-31 - The Azure Marketplace is the premier destination for all your software needs – certified and optimized to run on Azure. Find, try, purchase, and provision applications & services from hundreds of leading software providers. In the second half of May we published 31 new offers, including: Looker Analytics Platform, Solar inCode, and Kong Certified by Bitnami. Azure Friday | Episode 441 - Service Fabric Extension for VS Code - Peter Pogorski chats with Scott Hanselman about building Service Fabric applications with the Service Fabric for VS Code extension. This episode introduces the process of creating and debugging Service Fabric applications with the new Service Fabric extension for VS Code. The extension enables you to create, build, and deploy Service Fabric applications (e.g., C#, Java, Containers, and Guests) to local or remote clusters. Azure Friday | Episode 442 - Cross Platform for Azure PowerShell - Aaron and Scott check out the latest updates in Azure PowerShell, from simplified scenarios to `-AsJob` backgrounding support. This new functionality is now available on Mac, Linux, and Windows with PowerShell Core 6. Azure Friday | Episode 443 - Azure CLI Extensions - Aaron and Scott check out the latest extensions for Azure CLI. Azure CLI Extensions provide new, exciting features, and the Alias Extension is the first of many user-centric extensions that make Azure automation simple and easy. Q&A with Kubernetes co-founder Brendan Burns - Stella Lin sat down with Brendan Burns, co-founder of Kubernetes, to get a behind-the-scenes look at the service, as well as what’s new and what’s next with the Kubernetes community. SmartHotel360 Microservices on Azure Kubernetes Service - To help you learn how to deploy microservices written in any framework to AKS, we updated the SmartHotel360 back-end microservices source code and deployment process to optimize it for AKS. Clone, fork, or download the AKS and Azure Dev Spaces demo on GitHub to learn more. Tutorial: Deploy, manage, and update applications on an AKS cluster - In this seven-part tutorial, you’ll create container images, upload them to Azure Container Registry, deploy them to an AKS cluster, run your container images, scale the application on AKS, update it while running, and upgrade the AKS cluster. Monitor Azure Kubernetes Service (AKS) container health (Preview) - Learn how to set up and use Azure Monitor container health to monitor the performance of your workloads deployed to Kubernetes environments hosted on Azure Kubernetes Service. Tutorial: Use a custom Docker image for Web App for Containers - In this tutorial, you learn how to build a custom Docker image and deploy it to Web App for Containers. This pattern is useful when the built-in images don't include your language of choice, or when your application requires a specific configuration that isn't provided within the built-in images. Azure This Week - 22 June 2018 - In this episode of Azure This Week, James takes a look at the public preview announcements for Azure Blob Storage lifecycle management and immutable storage for Azure Storage Blobs, as well as the public preview of Azure AD Password Protection.